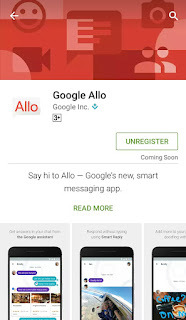 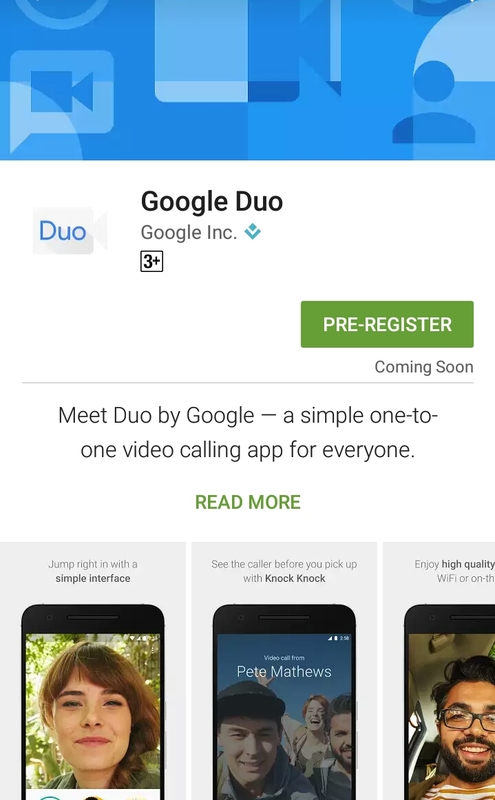 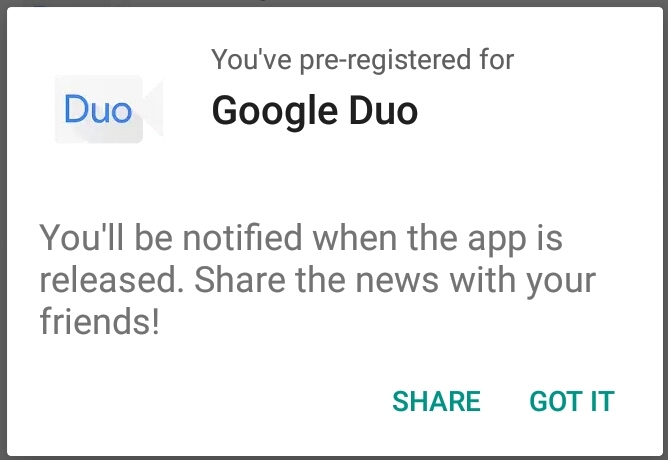 Google has officially opened pre-registration of their recently launched android Apps Google Allo & Duo in Google Play Store silently. 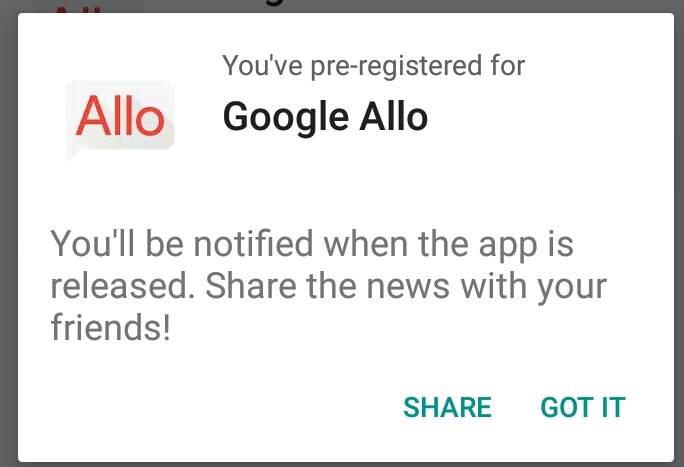 Both the apps was showcased in recently concluded Google I/O 2016 and have got good response from the crowd. 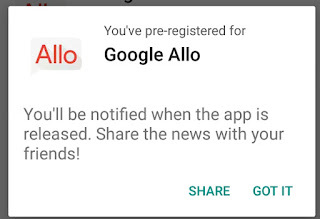 Looks it's nearing launch and hence this registration page is opened. 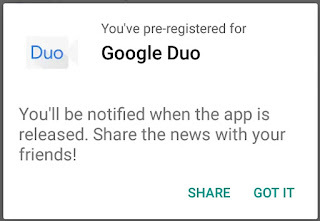 After you’re pre-registration you would be presented with a pop-up dialog box which has options to Share and “Got It”. 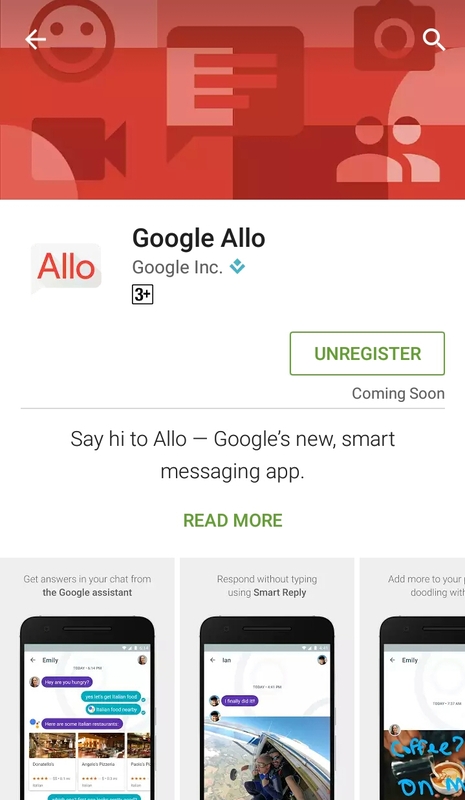 Google Allo - Allo is a messaging app that makes conversations easier, more productive, and more expressive. 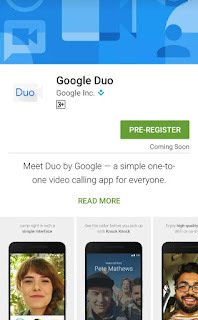 Google Duo - Duo is a one-to-one video calling app for everyone – designed to be simple, reliable and fun so you never miss a moment.